A lecture prepared by Very Rev Dr Michael Protopopov on the “Life and Legacy of Archbishop Sava Raevsky” which was delivered to the Australian and New Zealand clergy at the Pastoral Retreat on Friday 25 March 2016. Archbishop Sava was born Theodore Feodorovich Raevsky on 10 February 1892 in the city of Efmenov in the Tula Province, just south of Moscow. Theodore Raevsky Snr was a public servant who managed a number of country estates for the local nobility, whilst his mother, Alexandra Troitsky, was the daughter and granddaughter of priests. Young Theodore was sent to study at the Tula Theological Seminary at his mother’s insistence, from which he graduated in 1911. He then enrolled in the history and philosophy section of the School of Jurisprudence, at the Warsaw University, which, in 1916, was evacuated to Rostov-on-Don because of the proximity of the German Front. Upon completion of his degree in Jurisprudence, Theodore worked in one of the government departments assisting the war effort. However, when the civil war broke out, he was appointed a secretary in the ministry of education in Novocherkassk. With the collapse of the White Army in the Crimea, Theodore was evacuated on 10 November 1920 to the French occupied island of Lemnos and then to Constantinople, where he taught at the Russian Gymnasium for a year. The presence of the remnants of the White Army, fully armed and battle hardened, was a cause for much consternation amongst the British, French and Turkish representatives in Constantinople and it was decided to move the Russians on. In 1921, Theodore migrated to Serbia and taught in a private secondary school in Kralevo. There he met the daughter of one of the local teachers, Persida Milanovna Arandjelovic, and married her in 1930. In 1931, Theodore and Persida moved to Belgrade, where he was accepted into the Faculty of Theology of the Belgrade University and began his involvement in Russian community affairs. Theodore sang in the Russian Metropolitan’s choir, at the invitation of Metropolitan Anthony Khrapovitsky, and was noted for his fine tenor voice. He also taught catechism at the evacuated Kharkov Institute for Daughters of the Russian Nobility. In 1934, Raevsky wrote his research thesis: Symbolic Books in the Anglican-Episcopalian Church, for which he was much commended and received a Royal Grant of 1000 gold dinars. This work was serialised in the Belgrade University publication Bogoslovie and later published in book form. From 1935, until the German occupation in 1941, Theodore taught catechism at the Fifth Women’s Gymnasium in Belgrade, where he had a reputation for being a popular teacher who spoke Russian, Serbian and Polish fluently. The Second World War had a deep effect on Theodore and he decided to re-evaluate his life’s priorities. On 22 October 1941, he applied to be ordained to the diaconate and the following year, on 25 March 1942, was elevated to the priesthood by Metropolitan Anastasy Gribanovsky. Fr Theodore was appointed to celebrate at the Holy Trinity Russian church in Belgrade and, because of his legal training, to assist at the Ecclesiastical Court. In April 1944, with the onslaught of the advancing Soviet Army, the Raevskys moved to Austria and settled in Salzburg, where Fr Theodore found work in one of the local factories. On Sundays, Fr Theodore clandestinely celebrated Divine Liturgy in private houses, away from the prying eyes of the Germans. In March 1945, Metropolitan Seraphim Lade accepted Fr Theodore into his jurisdiction and appointed him official priest in Salzburg. With the American occupation, the Russians were permitted to celebrate in St Michael’s Roman Catholic Church on Residenz Platz, in the centre of the old city. It is interesting to note that due to the firm actions of a small group of Russian émigrés, and the support of the Archbishop of Salzburg and the US commanding officer General Collins, not one Russian émigré from the Salzburg area was forcibly repatriated to the Soviet Union. On 13 November 1945, Metropolitan Seraphim appointed Fr Raevsky administrator of the Diocese of Austria (as no bishop had yet been appointed) and on 13 July 1946, Metropolitan Anastasy, in his capacity as Primate of the Russian Church Abroad, elevated Theodore to the dignity of archpriest. Theodore was seen as an able administrator, a caring priest and an excellent orator. On 18 January 1947, Stephan Sevbo, onetime Bishop of Smolensk and Olshansk, was appointed Bishop of Austria and Fr Theodore became dean. In this capacity, he continued to be rector of the Archangel Michael parish and worked with tens of thousands of Russian refugees in the DP camps at Parsch and Hellbrunn. In June 1948, the Raevskys migrated to America and Fr Theodore was appointed rector of the St Vladimir’s parish in Miami, Florida. There he sponsored one hundred families to go to the USA from Salzburg, all of whom settled in Miami. In addition to his pastoral responsibilities, Raevsky’s legal background was utilised when he was invited to work on preparing two important documents for the Church Abroad, viz: the Normal Parish By-laws (ratified by the Synod of Bishops in July 1951) and the Status of Church Sisterhoods (ratified in April 1955). Unexpectedly, Matushka Persida died on 8 April 1952 and Fr Theodore was invited by his old friend from Yugoslavia, Bishop Nikon Rklitsky, to accept an episcopal appointment. Theodore declined the offer as he wanted to complete the construction of his new church in Miami. Furthermore, he admitted that his late wife had once said to him that he was too strict to ever be a bishop. A few months later, Theodore declined a second offer, made by his spiritual father Bishop Averky Taushev, to lecture in theology at Holy Trinity Monastery in Jordanville. However, after a long conversation with Metropolitan Anastasy in later 1953, Fr Theodore agreed to his consecration for the See of Melbourne, in place of Bishop Athanasy Martos. On 14 January 1954, Fr Theodore was tonsured to the monastic state with the name of Sava, in honour of the Serbian saint, and three days later was elevated to the rank of archimandrite. Fr Sava’s episcopal consecration was held on 18 January 1954 in the Ascension Cathedral in New York, with Metropolitan Anastasy and seven bishops officiating. After settling his affairs in the USA, Bishop Sava set sail for Australia on 22 July 1954 on board the Huon. Bishop Nikon, himself a newspaper publisher before the war in Serbia, made Bishop Sava promise to write about his voyage and send these articles to him. The articles were published in Russian language newspapers on both east and west coasts of America and were also aired on the Voice of America program into Russia. After a six-week voyage, Bishop Sava eventually arrived in Brisbane on 3 September 1954. With the progressing illness of Archbishop Theodore Rafalsky, Bishop Sava was relocated to Sydney to represent the episcopal authority. If Bishop Sava was originally received as the hope and salvation of the patriotic organisations, by the time he moved to Sydney permanently, the parish council at the cathedral was not prepared to show him any more deference than they did Archbishop Theodore. In 1949, Archbishop Theodore sponsored the arrival of Fr Theodore Michaluk to Australia. Eventually he appointed Michaluk to be archpriest of the cathedral and secretary of the Diocesan Administration. However, instead of supporting and strengthening the authority of his bishop, he, collaborating together with the lay elements of the cathedral parish council, worked towards subtly limiting the prelate’s authority. This was done on the pretext that Theodore was too ill to worry about mundane matters, and thus preparing resolutions for the archbishop to sign without him necessarily having read them. As Archbishop Theodore became more ill, he came to rely heavily on Fr Michaluk, who surreptitiously gained more and more control and thus increasingly usurped the episcopal authority. When Bishop Sava transferred from Melbourne to Sydney, he was accommodated at the cathedral residence. However, he was immediately faced with a wall of resistance from the cathedral parish council, who had become accustomed to controlling affairs at the cathedral, and looked upon their archbishop as a spiritual leader, without authority in secular or financial matters. Bishop Sava was allotted one room in the residence for his use, which became his private office, diocesan administration and bedroom. To ensure the prelate knew his place in the order of things, the parish council also made him pay for electricity and heating out of his own stipend. In the late 1950s and early 1960s, parishes of the Russian Church Abroad were encouraged to have themselves registered under the rules of incorporation of the local state authority. The only demand placed upon the parishes was that they subscribe to the Normal Parish By-laws as the basis of their rules of incorporation. This, in itself, was a difficult task as the By-laws only came into existence in 1951, with revisions in 1955. By that time, many Russian parishes were already established and had their own rules. Bishop Sava Raevsky, spent a great deal of time in convincing parishes that they should accept the Normal Parish By-laws as the basis of their parish life, which eventually they did. However, parishes continued to be registered under local state authorities without any reference to a central Australian church authority. The events in various cities convinced the new Primate that a system of a central administration for the diocese was overdue. It was no longer feasible to rely solely upon the spiritual ties of clergy to their bishops, nor was it prudent to leave the administration of parishes in the hands of the lay people, as Bishop Sava was beginning to discover in his relationship with the parish council of the Strathfield Cathedral. Bishop Sava saw the need for a new system of administration based on the civil law, one that would be binding upon followers of the Russian Church in Australia, and not subject to the whims of elected parish office-bearers. Bishop Sava looked to the example of the Roman Catholic and Anglican Churches in Australia and envisaged the Russian Orthodox Church being incorporated by an Act of Parliament, or some other similar legal instrument. Archbishop Theodore had identified the same problem in 1950 and had written to the Synod of Bishops about his concerns. As a result, the Synod set up a commission (in the USA) to investigate the contingency of establishing the Russian Church Abroad in the USA as a legal entity. In doing this, the commission prepared 106 Articles, which became the “Statute of the Russian Orthodox Church outside Russia.” This document was ratified at the General Council of Bishops in 1956 and is to this day, the legal basis for the Russian Church outside Russia and binding on all dioceses. Once the Synodal commission was established, Bishop Sava did not wait for them to conclude their deliberations, but appointed his own diocesan commission, on 14 September 1955, to draft a constitution for the Australian Diocese. To avoid creating a diocese of small legal entities, each autonomous under the terms of its own incorporation, Bishop Sava insisted that the Normal Parish By-laws become the basis for registration and that the name of the ruling bishop be included on the title of any property purchased. This instruction was eventually accepted by the parishes, although in some cases not without dissension. Bishop Sava was particularly interested in the education of young people. Having been Secretary of the Ministry of Education, (under the Don Cossack Government), some thirty-five years earlier, Sava was interested in the smallest details concerning the problems faced by the diocesan parish schools. He was interested in teaching methods, qualifications of teachers, literature and textbooks used, and teaching aids available. The bishop formed a Diocesan Education Committee, which was to seek out and purchase suitable textbooks and other literature that could be used in parish schools. To support the education process Sava decided that the diocese needed a central library and a museum. These were to be attached to the Bishop’s residence and administrative centre. However, Bishop Sava’s greatest passion was for books. He rejoiced to see the library of over 3000 books in the collection of the St Nicholas parish in Brisbane and personally put a start to the parish library in Melbourne, whilst bishop of that See. It was now Bishop Sava’s dearest wish to have a diocesan library in Sydney. To this end, the bishop was prepared to donate to the library his personal collection of over 400 theological volumes. A committee was formed to collect books and catalogue them, whilst in the USA Hieromonk Anthony Grabbe, was commissioned to buy up any new publications and send them to Sydney. Close friends of Bishop Sava knew to hide their latest book purchases, as Bishop Sava would not take no for an answer if he was intent on having that book in his library. By 1958, Bishop Sava had collected over 1000 books but, without a proper place to display them, the idea of a diocesan library was not realized until the bishop’s residence was moved to Croydon, NSW in 1960 and a large hall was built to accommodate them. To assist parish councils to make decisions about icons and styles, the bishop formed the Diocesan Arts Committee, which was to oversee all projects, prior to the building stage. In February 1956, Bishop Sava encouraged Anatoli Korobko, a young and talented choirmaster, to establish a youth choir so that teenagers and young adults would have a role to play in the life of the Church and also develop a sense of national identity through the expression of their individual artistic talents. Bishop Sava decided that he would attend the rehearsals of the youth choir and read them lectures on Russian spirituality, thus both encouraging the work of the choir and not missing the opportunity to strengthen the faith of its young participants. Having been a teacher in Yugoslavia for more than twenty years, Sava was concerned that young adults, upon leaving school, needed to be supported in living their faith, otherwise they could be seduced by the secular world. By May 1956, the choir became the natural nucleus for a completely new church youth organisation called “The St Vladimir’s Orthodox Youth Group.” Bishop Sava enjoyed addressing the group on numerous occasions, but because of his ever-growing number of commitments, he entrusted the spiritual development of its members to Frs Theodore Michaluk and Rostislav Gan. Young people quickly took up the idea of an organised group that had its own choir and social activities, and soon more than one hundred members attended the various activities. Soon parallel groups appeared in Melbourne and Adelaide. “August — services in Canberra and Brisbane. . . . September — Centennial Park, Blacktown, Cabramatta and Fairfield . . . October — Melbourne and Adelaide (where the parish had bought land for £4000 near the city centre). . . . November — Geelong (building their own church without a priest, they are successfully doing great work building their church in classic Russian style). . . . Then to Cooma in the foothills of the Snowy Mountains where hundreds of Orthodox migrants are working on the hydroelectric scheme . . . All December spent in Brisbane —celebrated in both St Nicholas’ and St Seraphim’s and the inaugural service in the new church in Rocklea on 25 December. . . . On way back to Sydney stopped over in Newcastle to visit the parish in Wallsend.” Considering that these trips were made by train or bus, they were far more exhaustive than modern travel today. In March 1957, Sava suffered a severe attack of diverticulitis and was hospitalised. This illness had two immediate consequences. The first was that the illness would plague the bishop for the rest of his life, and the second was that Sava, unlike the late Archbishop Theodore, would not entrust his episcopal authority to any of his subordinates, including the Bishop of Melbourne who was officially appointed Administrator of the Diocese. “The parishes in migrant camps have now been liquidated. Most Orthodox people now live in city parishes, but some still live in little groups or are isolated as individuals and families. Our priests continue to visit these small islands of humanity and to minister to their needs. Amongst these “small islands of humanity”, the bishop included those living in Bonegilla and the surrounding district as far as Wodonga; in Sunbury and Ballarat in Victoria, Bathurst and St Mary’s near Sydney, Northam and Albany in Western Australia, and Cooma in the Snowy Mountains. Meanwhile in the cities, parishes were beginning to leave rented accommodation and build their own churches. On 27 May 1956, in Fairfield, NSW. Bishop Sava blessed the ground for a future church to St Nicholas. Some two hundred people attended the service, which culminated in a large cross being erected over the site of the future altar. The parish council were so enthusiastic about the prospect of building their parish church that they promised to have it erected by the date of the parish Patronal feast in December of that year, a promise that they kept. Cabramatta also moved to have its church constructed as soon as possible. Although, the site was blessed by Bishop Athanasy Martos in 1953, it took the parish three years to collect enough funds to pour the foundations of the church. On 10 June 1956, Bishop Sava blessed the foundations. Three hundred people attended this service and donated generously to the purchase of bricks for the walls of the church. Amongst the crowd were two nuns recently arrived from China: Mother Elena Ustinov and Novice Tatiana Skorniakov. Bishop Sava immediately took the initiative and invited Fr Rostislav to build a small convent near his church and undertake the spiritual guidance of the Sisters. Fr Gan was an experienced priest in these matters, having being the spiritual director for a convent of nuns in Harbin before migrating to Australia. Life for Bishop Sava in the cathedral house at Strathfield was becoming untenable. The restrictions placed on him by the parish council regarding the use of the house appeared to the bishop to be designed to humiliate him and ensure that all his actions were monitored. On 9 July 1956, Bishop Sava transferred his residence to the St Vladimir’s church in Centennial Park, where Archbishop Rafalsky had lived prior to the building of the cathedral. Even though St Vladimir’s church was also controlled by the parish council of the Strathfield Cathedral, Bishop Sava felt that he would be somewhat freer of the restrictions imposed on him by the council in Strathfield. This was not well received by the Parish Council in Strathfield. At the same time, Protodeacon Peter Grishaev, who had bought a 21-acre property in Kentlyn near Campbelltown, seeing Bishop Sava’s enthusiasm to establish a monastery, gifted his property to the diocese for that purpose. The bishop decided that a recruitment drive was needed to attract men to join the monastic community. To this end, he sent Fr Dimitry Obuhoff interstate to speak about monasticism and invite those interested to come to Sydney to help establish a proper monastery. After a few weeks, travelling around the diocese, Fr Obuhoff returned to Sydney with three candidates: Michael Sorokin, Alexei Plenin and Ivan Bojko. On 16 September 1956 Bishop Sava organised a trip to Kentlyn so that the Russian community could become acquainted with the monastery land. It was now important to captivate the interest of the community, if the monastery was to have supporters and benefactors. Bishop Sava had a vision that the monastery could become a haven for elderly priests when they were no longer able to fulfil their pastoral duties. Sava believed that the monastery would provide such clergy with the opportunity of living in a spiritual setting where they would also be cared for until the end of their days. He hoped that not only the priests but also their matushkas would feel that they were properly provided for, when they were no longer able to cope with parish life and at their most vulnerable. Furthermore, noting the clean environment, Bishop Sava actively promoted the monastery as a place of rest, where families could come in the summer months and relax. The Russian Scouts were also encouraged to have their summer camps on monastery land and thereby introduce the children to the concept of the monastery. In addition, Archbishop Sava was not slow in asking the scouts to give one day of their time to work in the monastery and thus bring benefit to the monastery as well as their souls. During the years, 1957-1958 a number of clergymen were received into the diocese, all of whom had migrated from China. The European migration to Australia of WWII displaced persons had ended and now the Chinese Cultural Revolution was pushing people of European origin out of China. Many Russians were coerced or even forced to migrate to the Soviet Union, while others, believing the Soviet propaganda that after WWII things had improved in the USSR and there was freedom of religion and political conscience, went of their own free will — ending up in camps and isolated outposts of the steppes and tundra. However, there were those who held out against all manner of coercion, and were finally allowed to migrate to the West from Shanghai, Harbin and other centres. Amongst the thousands of migrants who came to Australia were: Abbot Agafangel Morev, Archpriests Philip Osipov, Leonid Upshinsky and Anthony Galushko, the priest Nikolai Deputatoff, Archimandrite Benjamin Garshin and two deacons: Valentin Karmilov and Guri Gulaev. By December 1958, the diocese consisted of one archbishop, one bishop, one protopresbyter, two archimandrites, one abbot, one hieromonk, 15 archpriests, five priests, two protodeacons and four deacons. Archbishop Sava, whilst being a driving force himself, also valued the same drive in his clergy. He could be quite exacting of those priests who did not live up to the standards set, but, on the other hand, he knew how to encourage and support and reward those clergy who worked for the benefit of the Church. During the mid-1950s Archbishop Sava became involved in what he considered to be the most important work of his episcopal service — the sponsorship of thousands of Russian migrants from China. This important work grew out of a chance meeting between the archbishop and the Secretary-General of the World Council of Churches at the Immigration Conference in Canberra in 1954. The following year, when Bishop Sava had become ruling bishop of the diocese, he was invited to meet the Prime Minister, The Hon. Robert Menzies, and at this meeting took the opportunity to raise the possibility of sponsoring “White Russians” living in China, who wished to come to Australia. Vladyka was not afraid to work with anyone who could move his cause forward. He ignored any criticism of what today we would call ecumenism and was just as grateful to the Anglican Church for their support as he was to the Australian Government. Archbishop Sava even convinced the Synod of Bishops to seek out support in the US Congress and the United Nations to help relocate Russians in China to Australia and the United States. The Australian government willingly accepted hundreds of Russian refugees who were young and healthy. Few problems were experienced in sponsoring young families and individuals up to the age of 45 years; but families with a large number of children (some of which had up to fifteen children), and families with elderly relatives, became a major concern. The Australian Council of Churches, which administered the migration program for the government, began to insist on sponsors who would accept responsibility for migrating families, so that the new arrivals would not become a drain upon the public purse. Archbishop Sava called upon individuals in the Russian community to come forward and be sponsors of their compatriots. When there were not enough sponsors, the archbishop committed the Church to act as a corporate sponsor for hundreds of migrants. The government was generally quite flexible in these sponsorship arrangements, until more and more migrants began to apply for government support. Even though sponsorship rules precluded the use of public moneys and placed the onus for support back on the Church, the government nevertheless provided financial support where needed, especially for those of pensioner age. However, the diocese was informed that the Church must later return the moneys spent to the Treasury. As resettlement program grew, it became quite evident that the Russian Orthodox Church would never be able to repay the money expended by the Treasury and this caused some concern in both government and church circles. Bringing people to Australia was one thing, but settling them into a new country was another. To assist in this process, Archbishop Sava encouraged the Russian community in each state to join the Good Neighbour Council. This organisation, formed in 1958, represented the interests of migrants at such forums as the immigration conferences in Canberra; promoted the International Year of the Refugee (1960), organised exhibitions of migrant crafts, promoted the notion of having ethnic broadcasting on government-sponsored radio and having a committee consisting of employers who would provide work opportunities for invalid migrant workers. By 1960, the Good Neighbour Council expanded its activities to include an active involvement in establishing the Blood Bank, encouraging migrants to acquire Australian citizenship, encouraging migrants to learn English, organising concerts where migrants could display their artistic talents and showcase their national cultures and advocate for migrant communities not able to represent themselves before government and other authorities. The diocese took an active role in ensuring that newly arrived migrants were able to learn the English language. Language courses were organised in many parishes and, with the help of the Good Neighbour Council, teachers were employed to provide English classes. Furthermore, Vladyka insisted on the establishment of a collection plate in all churches for the work of the welfare societies in Sydney and Melbourne; and to bind all clergy to paying one percent of their income to a diocesan fund which, in the case of the death of the cleric, would pay the family a subsidy to assist with expenses, or in the case of frailty, help the cleric and his matushka reside in one of the monasteries or aged care facilities. For Archbishop Sava 1960 was a memorable year in many ways. A house had been found in Chelmsford Avenue, Croydon, NSW, which was considered appropriate to the needs of the diocesan administration. At last, the Australian Diocese had an administrative centre and the archbishop was no longer dependent on the parish council of the Strathfield cathedral for his place of residence. Relations with the Serbian Orthodox Church, during the years that Archbishop Sava was primate of the Australian Diocese, were very strong. Prior to the arrival of a Serbian bishop, the Russian Church saw to the needs of the Serbian community. Archbishop Sava was called upon on a number of occasions to ordain priests for the emerging Serbian parishes. Having lived in Yugoslavia for over twenty years and displaying a great love for the Serbian people, Sava was a popular figure amongst Serbs and was always invited to national gatherings and patriotic ceremonies — no more so than when the exiled King Peter II of Yugoslavia visited Australia on 31 August 1960. “The spiritual revival of the Faithful, and extending a helping hand to all who may need support. To actively pursue a life of spirituality, morality, philanthropy and educational enlightenment. 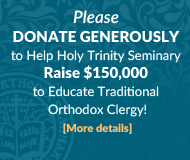 To help and support all those in need, under the aegis of the Russian Orthodox Church and her hierarchy. . . .
To accomplish these goals, Archbishop Sava established the Fraternity of the Holy Cross, an organisation of Orthodox Christians willing to promote the Church and her philanthropic endeavours. The archbishop insisted that only people who were willing actively to promote the work of the Fraternity should join. Those who could not, or were not able to work, could become donors but not fill an executive role. The Fraternity would be governed by a Council of Elders, under the chairmanship of the ruling bishop of the diocese, whilst an administrative committee would run the daily operations of the organisation under the chairmanship of the Senior Elder. The Fraternity had the constitutional authority to undertake works of both a spiritual and secular nature. The inaugural meeting of the Fraternity took place on 18 April 1961 and was popularly received by the faithful. Men, women and clergy rushed to join its ranks, although for many years the Council of Elders was exclusively male-dominated. Only during the 1980s did women become members of both the council and the administrative committee. In addition to many good deeds of a personal nature, helping families and individuals, the Fraternity (in partnership with the Australian Council of Churches) undertook the building of an aged-care residential hostel in Kentlyn, on land adjacent to the convent. The chapel area was being extended by thirty percent and a new section was being built on to the rear, which would become the offices of the diocesan administration. Sava himself continued to occupy the front bedroom as his office and the adjacent room as his personal quarters. The third bedroom was occupied by a housekeeper. At dusk on the evening 29 September, the archbishop, as was his custom, went to inspect the work done during the day by the builders. As it was getting dark, the prelate did not notice that the floorboards he was walking on had not been nailed down, and as he stepped on the end of some floorboards, the floor gave way and the archbishop fell through the floor into the space below. The result was that he suffered a wound to the back of his head and was immediately hospitalised. Despite the trauma suffered by the 70-year-old prelate, Archbishop Sava re-covered from his injuries but began to suffer bouts of epilepsy, which restricted his ability to celebrate services, but not his pastoral activities. In 1964, the appointment of a second suffragan bishop to the Australian Diocese marked the apogee of episcopal authority in Australia. The administration of the diocese consisted of the ruling archbishop Archbishop Sava Raevsky in Sydney, supported by the Dean of New South Wales; Bishop Anthony Medvedev in Melbourne, with responsibility for Victoria, South Australia, Western Australia and Tasmania, also supported by the Dean of Victoria; and Bishop Philaret Vosnesensky in Brisbane supported by the Dean of Queensland. With Archbishop Sava’s health becoming less and less stable, the suffragan bishops took on a greater role in the administration of the diocese as a whole, and Bishop Anthony was often called upon to administer the diocese. The General Council of Bishops meet in May 1964 and elect a new metropolitan and primate. On the day the General Council officially opened, 17 May, the bishops had divided into two opposing groups. No compromise could be reached between those bishops who supported Archbishop Nikon Rklitsky of Washington, and those who supported Archbishop (St) John Maximovitch of San Francisco. Despite the fact that the official communiqué referred to the election as one conducted in brotherly love and unity of mind, the reality behind closed doors was somewhat different: As the deadlock continued, Archbishop Sava, being a close friend of both candidates, was approached by various bishops to cast his vote by mail. Immediately Sava decided to send his newly consecrated Bishop of Brisbane, Philaret Vosnesensky, to the General Council with a sealed envelope, supposedly with his vital vote. When Bishop Philaret arrived in New York and the sealed envelope was opened, instead of a casting vote, Archbishop Sava offered the General Council the candidature of Bishop Philaret, the youngest bishop of the Russian Church Abroad, for the post of Metropolitan and Primate. The bishops assembled saw in this act a wise solution to their dilemma and a compromise that ensured the unity of the Church. In Sydney, Archbishop Sava had been demanding for a number of years that the cathedral be registered in the name of the Church. The parish council prepared a Memorandum and Articles of Association and brought them for Archbishop Sava to sign. However, as the parish council did not provide the archbishop with a Russian translation of the documents, he refused to sign until he had an opportunity to study them: The parish council then took the Memorandum and Articles of Association and had them registered on the 2 April 1968, without the archbishop’s signature. At the AGM, held on 16 June 1968, no mention was made of the incorporation until, under “Other Business,” the churchwarden M. V. Boukaseff stated How-ever, the Memorandum and Articles of Association were not presented to the meeting. Nor was the meeting informed that the property had already been handed over by the parish trustees to the new body. The minutes of the AGM were not sent to the archbishop for ratification, as was required by the Normal Parish By-laws, and only after the diocesan administration had made a number of demands for the minutes to be sent, did they arrive 30 weeks later. Upon receipt of the minutes and attachments, Archbishop Sava had them translated into Russian and, after careful scrutiny of the documents, declared them to be sharply in contrast to the norms of the Church and sent the matter to the Synod for further action. The schism between the Cathedral and the Diocese was now complete. It would be left to Archbishop Theodosy Putilin to resolve the schism some ten years later and return the Cathedral to the diocese. In 1969, the Synod appointed Archbishop Athanasy Martos to rule Australia and Sava was given the honour title of Representative of the Synod of Bishops and consequently some authority to go to the Synod if he was not happy with the new bishop. Archbishop Athanasy sided with the cathedral group and ratified their minutes. This caused an uproar and within twelve months, the Synod removed him. The Synod sent Archbishop Nikon Rklinsky (First Deputy President of the Synod) to Australia to invite Bishop Theodosy of Melbourne to become archbishop. 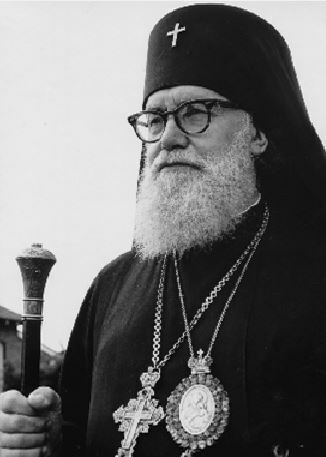 Archbishop Sava Raevsky died of a stroke on 17 April 1976, whilst giving an interview to the local Russian Radio program. To the question, what do we young people need to do in your opinion for the Church today? Sava answered “We must work.” they were his last words and his eternal legacy to our future generations. Archbishop Sava was regarded even in his retirement as a father figure and elder statesman of the Russian Church in Australia. His passing was mourned by the whole Russian community in Australia and throughout the world. The Serbian Church, the Parliament of NSW and the Prime Minister all joined in honouring a pious and productive life.